I’ve been very loyal to Armani’s Luminous Silk Foundation since last summer, for its silky light touch and naturally beautiful sheer coverage. 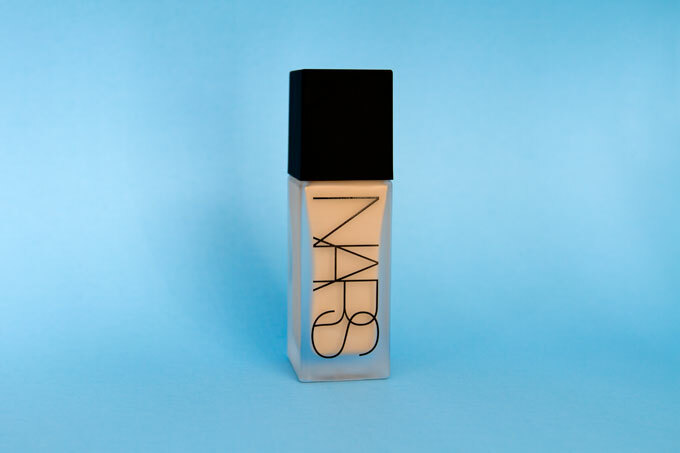 That loyalty is currently being tested by NARS’s brand new All Day Luminous Weightless Foundation ($48 US/$57 CAD). Unlike some foundations that require a ton of product, this gem takes care of the entire face with just one pump. It appears weightless, and it actually stays on the face for the duration of the day. (So, no weird moments when you take a facial wipe to your skin before bed and nothing comes off.) The secret here: flexible polymers that move with the skin, preventing caking that sometimes happens due to stiffness. Available in 20 shades, because NARS always means business.